I am so beyond excited to announce that on December 1st, Beachbody is going to launch the NEWEST fitness program called Hammer and Chisel!!!! I love Autumn Calabrese's 21 Day Fix and love weightlifting (which is where Body Beast comes into play)! Autumn's portion controlled container system has helped me and my customers in finding success with clean eating and portion control! So when Team Beachbody announced a new program hosted by two of my favorite trainers, I was so excited!! I am for sure going to be sitting here at the computer on launch day -December 1st - getting my copy!!!! It is going to be surreal!!!! I have both committed to completing this program, to running an official TEST GROUP for People just like YOU who want support in getting results! 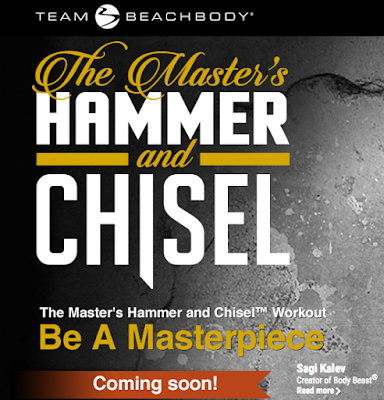 So What is Hammer & Chisel????? 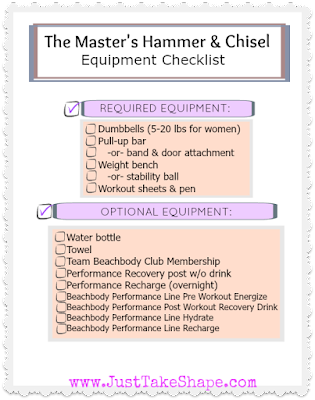 Hammer and Chisel is an expert workout system that delivers breathtaking, body changing results in 60 days! 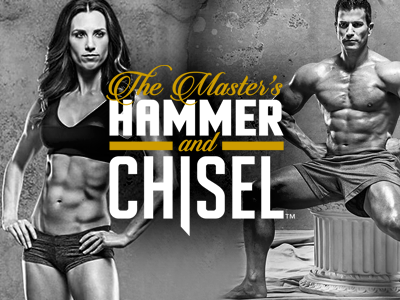 Trainers Sagi Kalev and Autumn Calabrese are amazing experts at sculpting bodies and have tons of awards to prove it! So this program is sharing their strategies for resistance training to shape powerful muscles, shed body fat, and build a ripped physique. In my case, I'm not going to be competing on stage but I do want to look and feel my best! PLUS muscle burns FAT and we all want to KEEP THAT METABOLISM FIRED UP!! So anything with strength training and cardio is a keeper!!! This is a 60 day program and each workout ranges from 30-40 minutes which is perfect for me because anything longer than that I can't do! I'm a busy mom so I gotta get in, get out and get going! What do you need for this program? You do not need a ton of space but you do need some equipment! You need dumbbells ranging from 5 to 20 pounds for women depending on your strength. Pull up bar or over the door attachment for the resistance bands. Weight bench or stability ball. Optional Equipment and items would be The Team Beachbody Club Membership so you can access on Demand live streaming, The Beachbody Performance Line Supplements so that you can maximize your muscle recovery, performance and results. 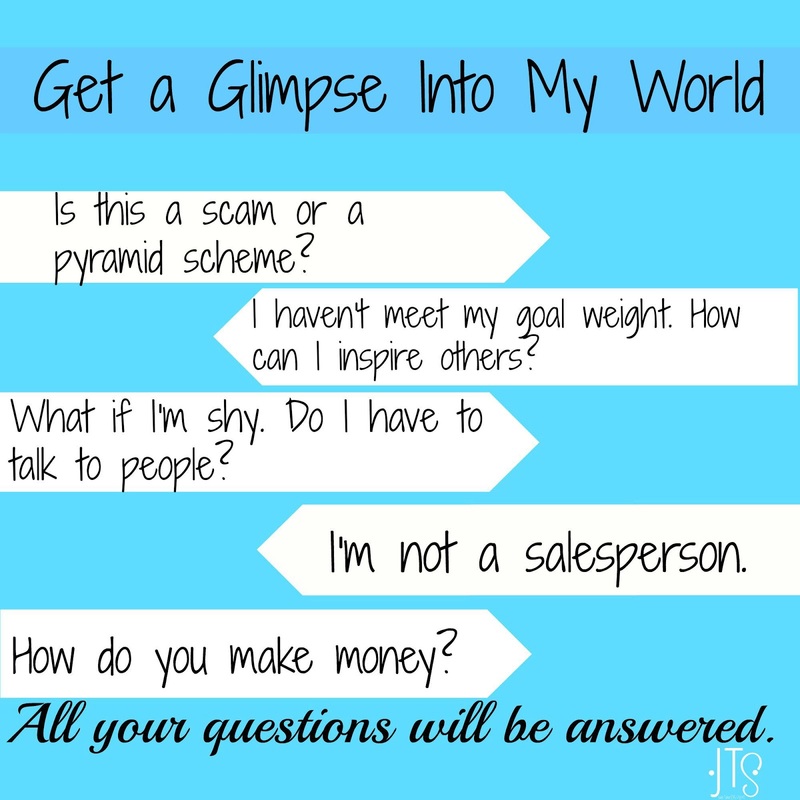 So What do you need to do to get into my exclusive Top Coach Test Group? #1 I must be your assigned coach. If you are not working with a coach already that is great, head over to my site and create a FREE account! #2 Complete the application below so that I can gather more information about you and to see if this would be a good fit for you! #3 Requirements to participate in this test group: you commit to the Hammer and Chisel Challenge pack which includes the 60 day workout program, nutrition guide, program manual, schedule of workouts to follow, Shakeology, discounted shipping and price! #4 Commit to being an active member of the online support and accountability group. You must be willing to show up every day, log your workout, rate your nutrition, check in for accountability and support. I am also going to share with you how to meal plan, how to prep your meals, how to make it easy and simple to get results, I am going to help you with daily accountability, motivation, tips and tools to get you the BEST results possible! If you are ready to switch it up, get great results the time is now! Make sure you fill out the application below to get on the list to be the first to get HAMMER AND CHISEL!!!! You don't want to miss this, IT IS GOING TO BE AWESOME!!!! ARE YOU IN?!?! I like to call November and December SURVIVAL MODE when it comes to nutrition and fitness. This is the time of year when most people make excuses as to why they don't have the time to workout or why they don't have the money to eat healthy. I am going to call Bull*&^% right there. I KNOW for a fact that if you have a strong desire and motivation to DO ANYTHING then you will find a way. If you are not highly motivated then you will FIND EXCUSES instead! I hear it all the time. For the last 4 1/2 years of coaching people to reach their health and fitness goals I see excuses, I see people lose motivation and give up, but I do see people that succeed. 1. A strong driving force or "WHY" to change their nutrition and fitness. You can't just sorta kinda want to change, you have to REALLY WANT TO CHANGE! After the novelty of the new program wears off, what is going to keep you going? It's internal motivation to change more than you want to stay the same! 2. Committed. People that succeed are committed. They are willing to do whatever it takes to be successful and they are not QUITTERS. They are committed to starting and finishing the fitness program exactly as it is laid out and they will evaluate and tweak their program as they go. But, once they go in, they go ALL in! 3. FAITH. People who succeed have faith! They believe that without a shadow of a doubt that somehow, some way, they will be successful at this weight loss game. It's just that, its a series of trials, errors and triumphs before you find what works for your body the best. Those that have faith in the process and believe that I won't lead you astray succeed. It is those people that think its not working fast enough, or that their progress is TOO slow, or that they NEED MORE cardio or MORE protein and start going off and changing things on their own that get frustrated and FAIL. The reason is that they didn't follow the plan! No one knows best than the trainers and nutritionists that create the program what will work. So, don't second guess the program. It was designed for a very specific reason! 4. Successful people follow the nutrition plan. Yes, I know this isn't what you wanted to hear but it's the truth! The people who have the MOST success are those that really do truly follow the nutrition plan laid out in the program. If you aim to eat 80% of the time according to your plan you will get results. If you track your food in a journal, you track your water intake, you allow yourself 1 or 2 treats per week you will make great steady and healthy progress! You can have your cake and eat it too! I am on a mission this holiday season to keep people ACCOUNTABLE & MOTIVATED to continue their health and fitness journey. This time of year I'm not asking you to go 100% strict but what I am asking you is this. DO YOU WANT TO END 2015 BETTER THAN YOU STARTED? DO YOU WANT TO MAKE A REVERSE NEW YEARS RESOLUTION??? Imagine how much more energy you would have to get in your holiday shopping, wrap presents, to visit with friends, to get in those extra work hours, and do everything on your holiday wish list if you ate healthier and exercised 30 minutes each day? Did you know that just the simple act of fueling your body with really great nutrient dense food can ALONE boost your energy level and metabolism? I know for a fact when I do my workout first thing in the morning that I feel more empowered and strong to take on the day! I find when I fuel my body with healthy foods I'm not starving or craving unhealthy snacks. It did not happen over night but through support, accountability and daily motivation I have changed my entire families life. 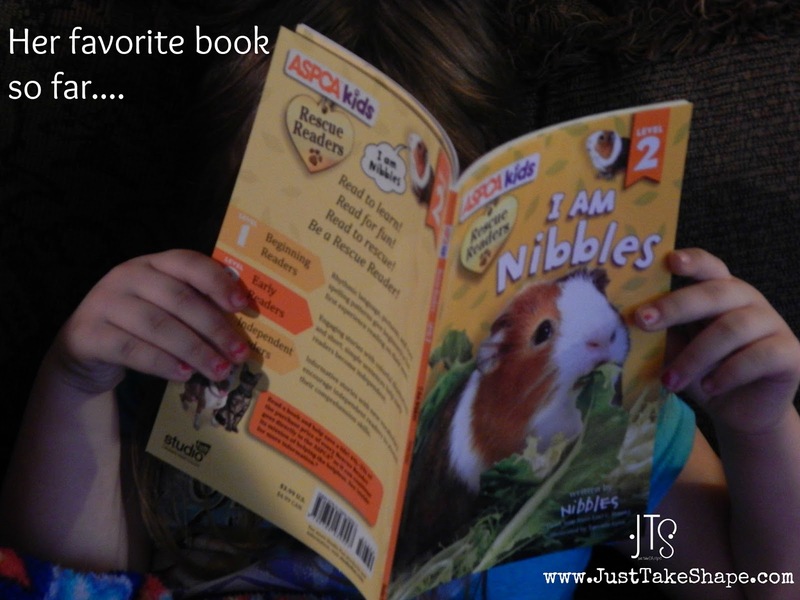 We have never felt better, our kids are learning great habits and we are not stressed about the holiday season. We are planning a healthy Thanksgiving dinner, some fun get togethers with friends but we are staying accountable to our workouts and we are eating on track 90% of the time. We know that when our treats happen they are earned and they are in moderation! It is truly just a shift in mindset of taking it one day at a time and not getting overwhelmed by the big picture! So that's the game plan! I feel that it would be super VALUABLE AND HELPFUL to do the same for YOU!!! Are you in? Does this sound like something you would like to do??? I am committed to helping YOU END THE YEAR STRONG! LETS DO THIS!!!! 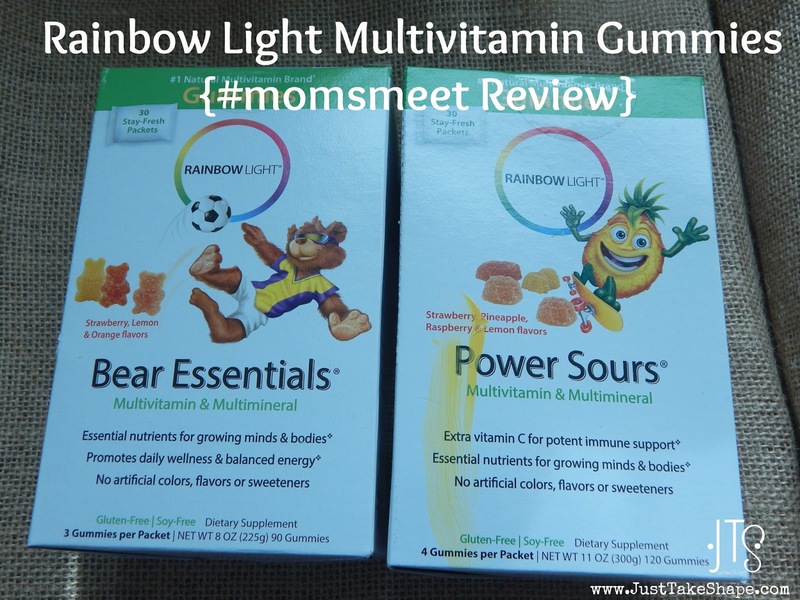 I was recently contacted by Moms Meet to do a review of Rainbow Light's gummy vitamins for children. I have used Rainbow Light's prenatal vitamins and felt they were a good choice for me, so I was honored to be given the choice to give my daughter their line of gummy vitamins. Rainbow Light is one of those companies that I trust their products to be safe for me and my family. Their vitamins are organic, non-GMO, plus have probiotics, which we all need for good digestive and immune health. Not only that, but a charity that is important to me - Vitamin Angels - is a great program that provides mothers and children everywhere with life-saving nutrition. As an extra bonus, Rainbow Light also carries a trademark on 100% upcycled EcoGuard bottles, which have helped to keep over 10 million plastic bottles our of our water system. So as you can see, being asked to do a review of their kids' line of gummy vitamins from a company that not only cares about the environment as much as what goes in our bodies is a win-win in my book. Inside my box were 2 boxes of gummy vitamins - Power Sours Multivitamin Gummies and Bear Essentials. In each box is 30 stay fresh individual packets which contain 3 (in Bear Essentials) or 4 (in Power Sours) gummy bears, which is the recommended daily amount for each child. These types of gummy vitamins are formulated for children ages 4 and older. Now as you know, getting your child to take anything that is good for them is sometimes nearly impossible. 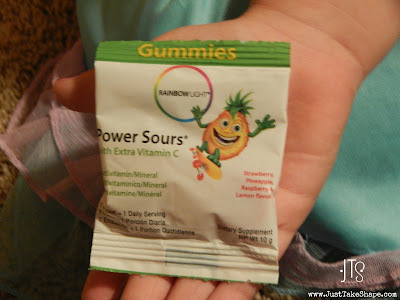 So after trying several brands of vitamins for my daughter, I caved to giving her a gummy vitamin. I mean, if it means getting her to take something that is good for her also means giving her something that looks like one of her rare and favorite treats - gummies - then I will. Now, we all know as parents that even though something is in gummy form and is good for you, if it doesn't taste good, your child will not eat it. 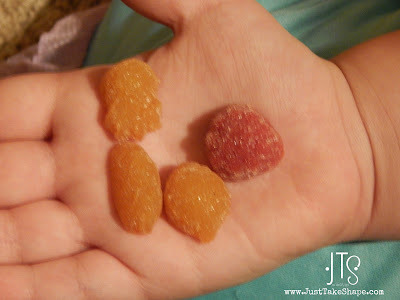 The Power Sours Multivitamin Gummies looked just like huge gummy bears and came in strawberry, pineapple, raspberry and lemon.Her favorite out of all four flavors was strawberry, then again, she can eat an entire container of strawberries in a matter of a couple of days. 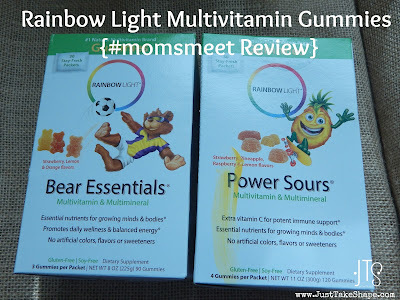 Overall, I am very pleased with Rainbow Light's Power Sour Multivitamin Gummies. The main reason - my daughter actually liked them and even reminded me day after day to take her vitamins. You can find exclusive discounts and special offers by following Rainbow Light at www.rainbowlight.com or on their Facebook page. 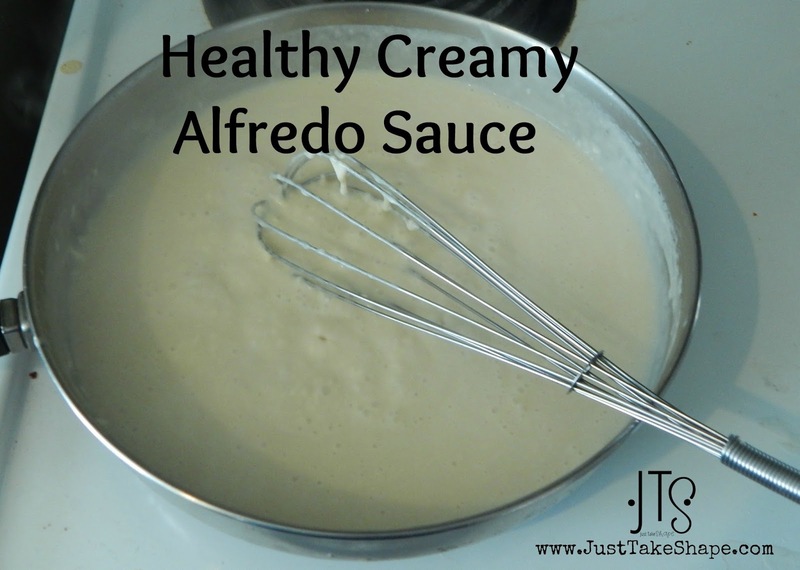 Having food allergies or intolerances mean you sometimes are forced to give up some of your favorite foods, Alfredo sauce was a favorite sauce for just about anything pasta related, but going gluten and dairy free meant I could no longer have alfredo sauce made with tons of cream. But with some easy substitutions, dairy free alfredo sauce was created. The texture is similar to the regular dairy based sauce, however, now not only is made dairy free, but also healthier, and with only three ingredients. 1 package of Dajia mozzarella "cheese"
In a frying pan, place the Earth Balance or butter and let melt over medium high heat. Once melted, add in the almond milk and "cheese,"
Using a whisk, you will want to stir, stir, stir so that the mixture does not burn to the pan. The mixture will thicken to a creamy sauce. At this point, you will want to turn the heat to a low-medium and add in your shredded chicken and broccoli, or whatever vegetables you want to use. For a low carb option, serve over spaghetti squah or any other type of vegetable noodles, You can also use any type of noodles - gluten free or whole wheat - for those that are not low carb. 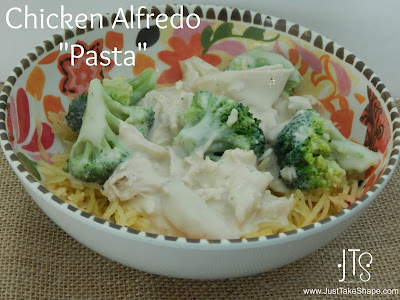 I would love to know your thoughts on this recipe and your favorite vegetable add on in your alfredo sauce. Meet Max. He is our lovable, feisty, full of energy, German Shepherd. And he sheds 365 days a year. This post is sponsored by e-cloth, but the review and opinions are purely my own. 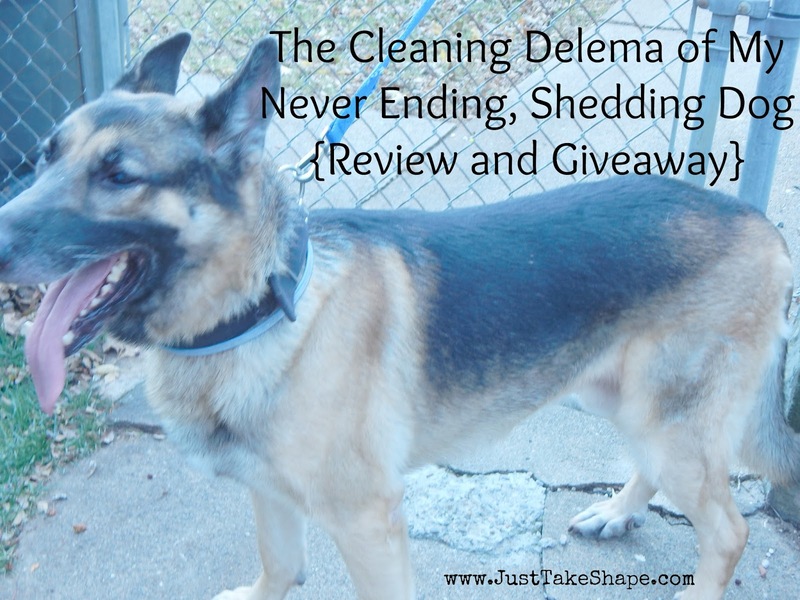 Does your dog or cat shed? Of course it does - most all breeds of dogs and cats shed. 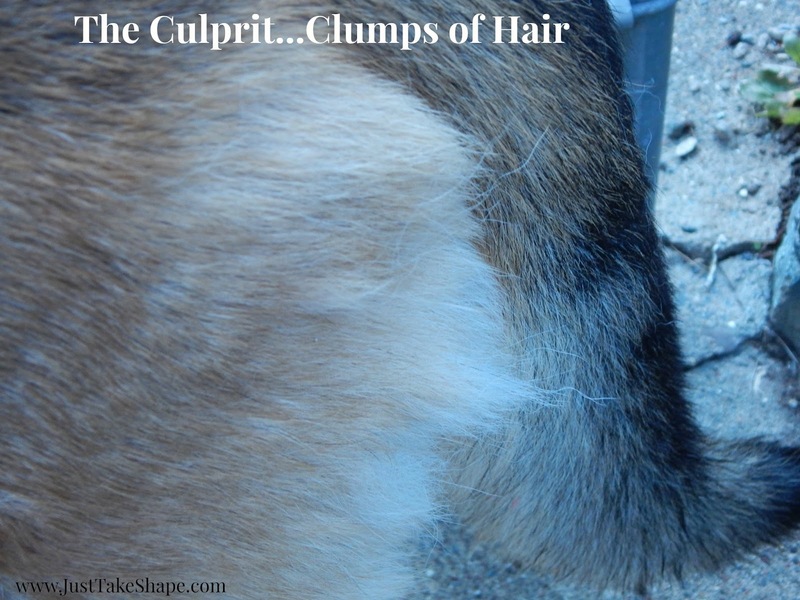 And if your dog (or even cat) is like mine, he sheds pretty much year round and not just in the spring time. Now don't get me wrong, I love our dog. Max has been with us for almost 7 years and we hope that we are blessed with many, many more years to come. But when I can walk into a room and see clumps of dog hair on the floor - well, it kind of grosses me out. The never ending sweeping and vacuuming daily to clean up the dog hair though is tiring and during the spring and fall (yes, he is shedding now when you would think he would be getting his winter coat), I have to sweep the floors twice a day. 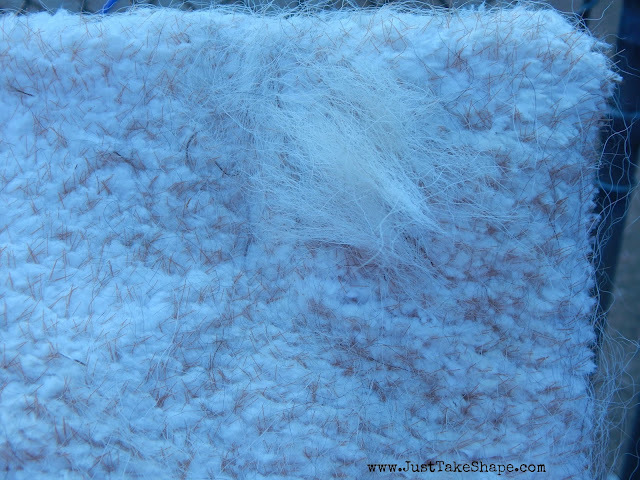 But is isn't just the dog hair that seems to fall in layers on my clean floors, but also the dander (especially in the winter when the heat is on and the air in the house is dry) and dirt. Sure monthly baths or trips to the groomers would help, but that can get expensive and let's face it, giving him a bath outside during the winter when it is below freezing is not going to happen. Yes, I know I could give him a bath in the tub. Been there, done that. But when your dog is 90 pounds and hates water, well, let's just say he will win that battle and I get soaked plus a war zone in my bathroom afterwards is a huge turn off. On a side note, he does go to a groomer twice a year, once in the winter for a skin soothing/oatmeal bath to help with dry skin and late spring when he loses his winter coat. 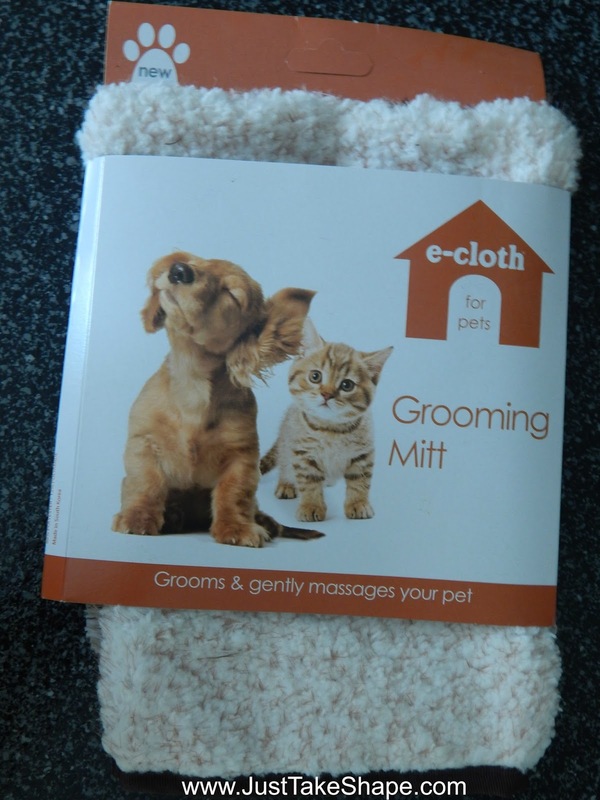 It was when I was looking for something that was easy to use, could be used indoors (especially important during the winter months), wouldn't irritate his skin and could be used daily to help control the amount of dog hair that ends up on the floor that I was contacted by e-cloth to do a review of their pet care line. Now I had been contacted by e-cloth to do a review of their kitchen cleaning products (see this post) and was very impressed by how effective the product worked, so I gave the Grooming Mitt a shot. 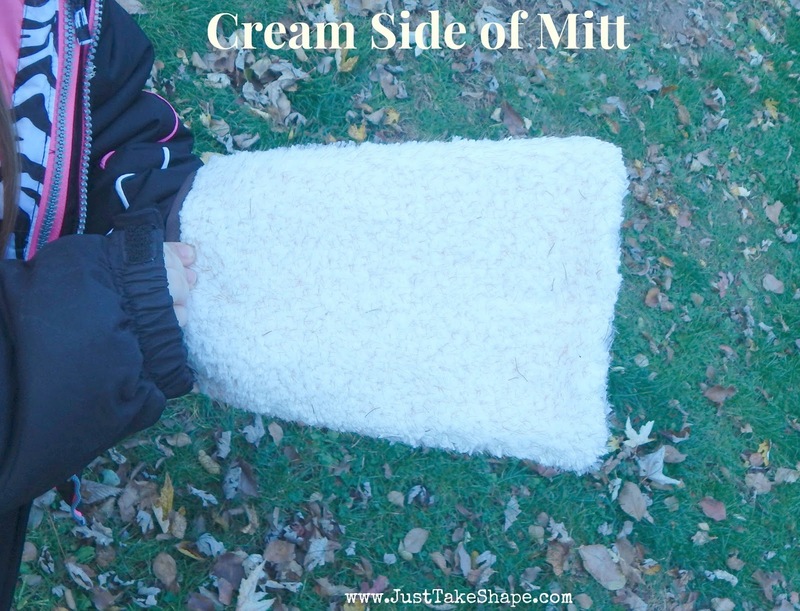 The mitt is double sided, One side - the creamy side- is used for getting loose hair and and dirt or debris in the hair. The other side - the dark side- is used for removing surface hair and adding a shine to the coat. I was curious how well the grooming mitt was going to work since the brush that we currently use to comb out dog is pretty much a horse brush since it helps to get the loose undercoat out. But I have noticed too that when we use the horse brush, it also tends to irritate his already sensitive, dry skin and cause more dander. The mitt was so easy to use, in fact, my 5 year old daughter used it to brush the dog, and the size was a perfect fit for my large dog. Now typically when he is brushed, he hates to be still, but using the mitt seemed more like I was petting him instead of brushing him. And the amount of fur that came off in just a few strokes was impressive. I then tried the other side of the mitt that is used for getting the dirt out. While it is hard to see dirt, I did notice that it did help to get some of the smaller pieces of fur and dander that was already on the outer layer of fur. 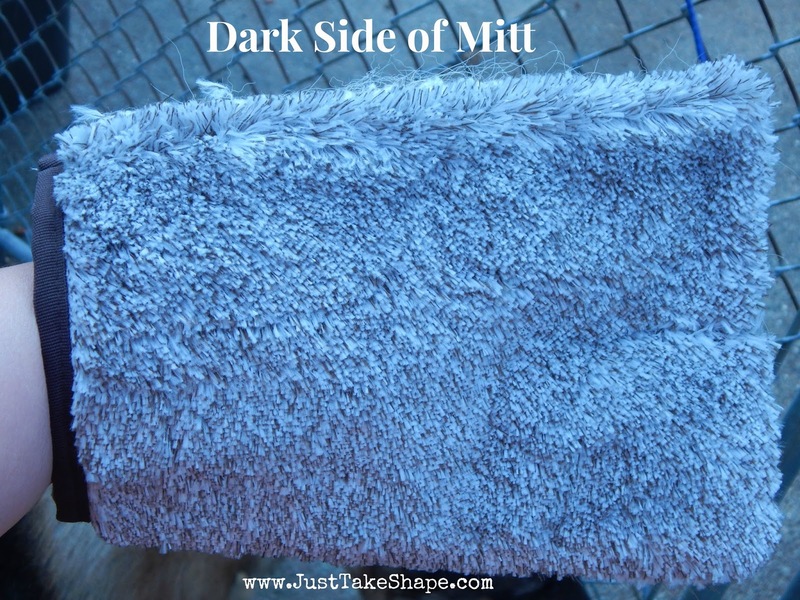 I am curious to try this side of the mitt during the spring and dryer months of the year when his coat gets really dirty. I do note that after using the mitt to brush my dog for only a few days, the amount of dog hair that has to be swept up has been reduced, which is a good thing. I am hopeful that using the mitt every day will help control shedding. To learn more about e-cloth, you can visit them on Facebook, Pinterest, Instagram and Youtube. E-cloth is also generous in allowing me to host a giveaway for your chance to win your very own e-cloth, please enter below. Today marks the first day of fall, and with that comes everything pumpkin. 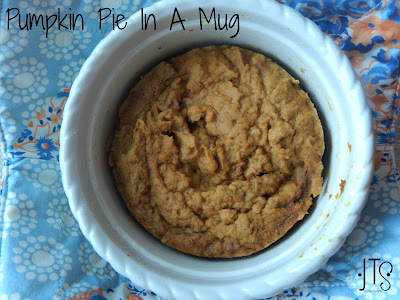 So why not make Pumpkin Pie in a Mug? 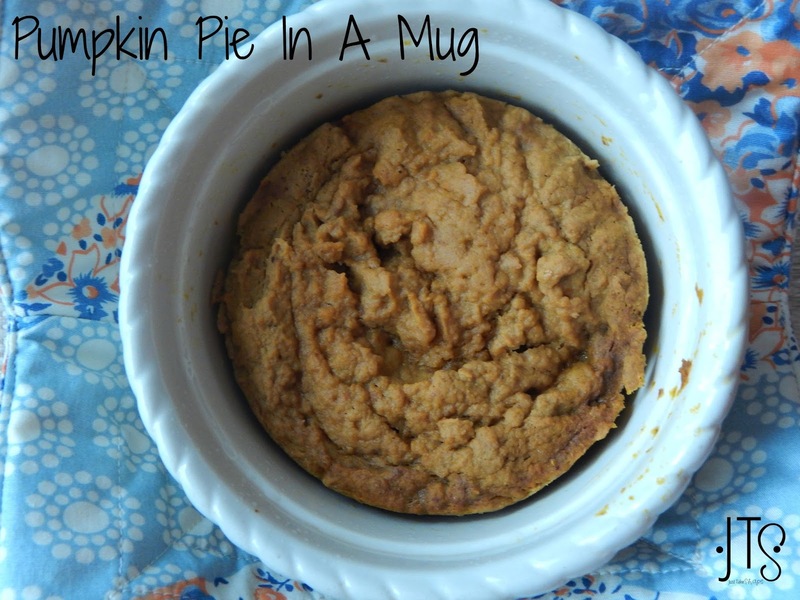 It tastes like the real thing, but is healthier and takes less than 10 minutes to make. Spray 16 oz. ramekin with coconut oil. Microwave for 5 minutes or until top of mixture is no longer wet. Serve with (or without) whipped cream. 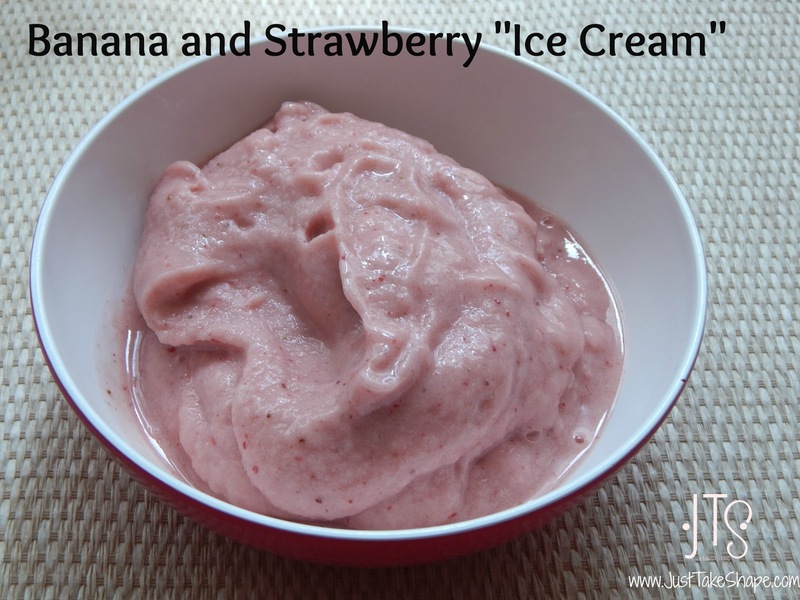 Banana and Strawberry "Ice Cream"
Let's face it, when you are a few days in to a new way of eating (aka diet), things may be going really well at first, then boom, cravings of junk food hit and even the temptation of wanting to yank the bowl of ice cream your 4 year old is eating right out of her hands (I would never do that though). But what if I told you that you could still have ice cream that isn't bad for you and it won't ruin all of you hard work? No, I'm not kidding. And what if I told you this type of ice cream only requires 2 ingredients that I'm sure you have in your kitchen. Rinse and cut tops off of strawberries. Place fruit in plastic bag and freeze for 4 hours or overnight. Place bananas and strawberries in blender and blend until smooth. Add 2 to 4 tablespoons almond milk, if needed, to make it creamier. Beachbody Coach Sneak Peak: What Does a Coach Do? If I was an outsider looking in at my life, I would be SOO confused! What does she DO all day (besides post health and nutrition information)?! If you are scratching your head...wondering how I can stay home all day, be there for my kids, and build a business then you are invited! The whole concept of being a Beachbody coach can seem so abstract and SCAM-Y. I should know, I am one of the BIGGEST skeptics. I never buy anything or go anywhere until I read reviews and research and then read and research even more. I've been lead astray into buying crap products before way too many times. The feeling of being scammed or even lead astray is one of the WORST feelings. So with that being said, I would like to "Pull the curtain back" and give you a glimpse into what I do and invite you to my 5 Day Coach Sneak Peak so you can decide if it's a good fit for YOU! No commitment is necessary. This is simply a chance for you to see if this is a good fit for you. I, along with my friend and mentor, will simply share our story, and how we have helped others become happier and healthier. 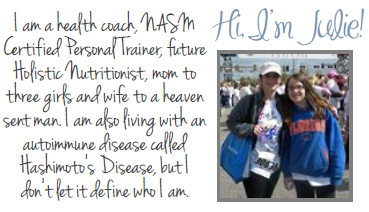 We will share our team values and how we are one big family with one goal in common - to end the obesity epidemic. This is NOT going to be one of those weird "Business Opportunities." There is no pressure to sign up. This is simply an opportunity to learn more and decide if it might be right for YOU! And don't worry, you won't hurt my feelings if it's not for you or the timing just isn't right. THAT'S IT! 5 Days sharing the way we feel about this awesome opportunity and our desire to help others. If you want to be a FLY on the wall in this group and you do not already have a coach, send me a message to RSVP. So you have decided to go Paleo - great ! But you also want to do the 21 Day Fix - sure, no problem. However, you are concerned when it comes to some of the foods allowed while doing the fix, which consist of grains and dairy products. The good news is you can still eat Paleo while doing the 21 Day Fix. 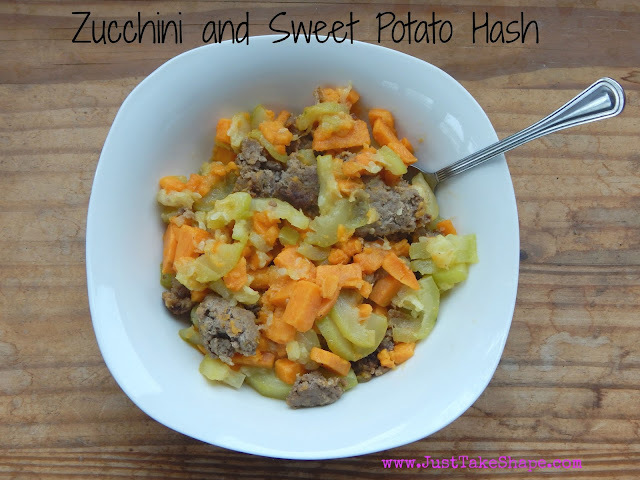 While going Paleo on the 21 Day Fix, the main change you will make is regarding carbs. Normally, you would eat carbs (yellow container) such as rice, quinoa and other grains. However, since those are a no-no while eating Paleo, you will have sweet potato once per day and unsweetened almond milk in your Shakeology once per day. In addition to the reduction of carbs via grains while on the Paleo 21 Day Fix, you will need to increase the amount of healthy fats. Therefore, you will note the addition of nut butters (almond butter, etc. ), which are seeds and are considered a good fat, will go in the blue (healthy fats) container. Now I know that Shakeology is not considered Paleo, however, due to Shakeology's superfoods from exotic fruits and veggies, phytonutrients, amino acids, protein that is in a highly digestible form, not to mention prebiotics and probiotics, it makes consuming Shakeology on a daily basis a win-win situation. Another added benefit of Shakeology is that it can be used as one of your meals that you literally do not have to cook or even plan out such as your other meals, you just mix and shake. It is just that simple. Shakeology on the 21 Day Fix is to be used as one of your red (protein) containers. Over the course of the next few weeks, my recipes will focus on those that are specific to the 21 Day Fix - Paleo style. As always, these recipes and additional meal and snack options are always shared in my private Challenge Groups! If you have been following my journey to health, you know that I have been battling not only thyroid issues, but digestive issues too. When I started my journey, I began the SCD (Specific Carbohydrate Diet) to ease my way from being a vegan/vegetarian for almost 20 years, to eating meat (mainly in the form of chicken and turkey). It was during this time that I started to hear more and more about Paleo and Primal. Through reading and researching more about what Paleo and Primal is, I heard of some amazing health transformations from those that chose to deviate from the SAD (Standard American Diet) to Paleo or Primal, from losing weight to even healing their digestive issues, which is my main goal. healthy fats from grass fed meat, fish, nuts and avocados. Now dairy may be the big decision maker in going Paleo or not. However, when you chose to go Primal, you are following the Paleo way of eating, but are allowed dairy, specifically, raw dairy and cheeses. Also, when you eat Paleo/Primal, one of the key concepts is to eat organic, non-GMO and grass fed meats. By doing this, you will be limiting your bodies' exposure to harmful chemicals, antibiotics and hormones that our foods are injected or sprayed on. Paleo has so many health benefits, ranging from losing weight to healing autoimmune diseases and more. If you think about it, our ancestors did not have the health issues that seem to be plaguing our generation (at least none that we know of). What can you expect temporarily on the Paleo Diet? All of these sypmtoms are because if you have been eating the SAD way, then you will be going through a detox when you "clean up" your bad eating habits and start eating food that actually nourishes the body instead of dumping chemicals and unhealthy fats in it. What can you expect long term on the Paleo Diet? 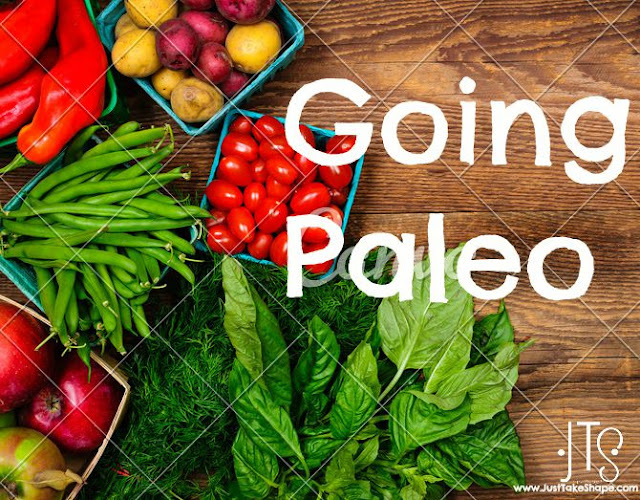 Have you or someone you know gone Paleo? I would love to hear of any health changes experienced since going Paleo. Life with with an newborn is so much fun, except when the teething begins. My three month old is starting to teeth, and with that comes not only drooling, but so does the fussing and increased reflux (although I am not sure if this is related to teething or not). During these times, for all of my children, I have used natural remedies to help with the pain such as teething gel or teething tablets. Recently, the talk of the town seems to be Baltic Amber necklaces to help with teething pain. Recently, the talk of the town seems to be Baltic Amber necklaces. The theory behind using Baltic Amber is the succinic acid that is naturally found in amber is adsorbed into the skin (only a very small amount - nothing that is toxic at all). The succinic acid helps to restore oxygen and energy to the cells of the body, thus helping the body to deal with pain and inflammation. 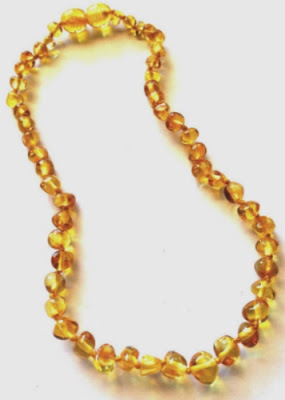 According to some websites that sell Baltic Amber, it is used not only for teething discomfort, but also used for other aches and pain, such as PMS and migraines, helps to restore energy, and even helps with chronic inflammation (something I plan on trying due to Hashimoto's). The key to Baltic Amber is to where the amber closest to the source of the problem. 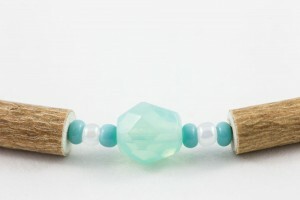 So if you are having teething or any head pain (headache/migraine), you can wear it as a necklace. If you have have pain on the body such as knee pain, you can wear it above the knee. The key is to get it closest to the source of the pain. 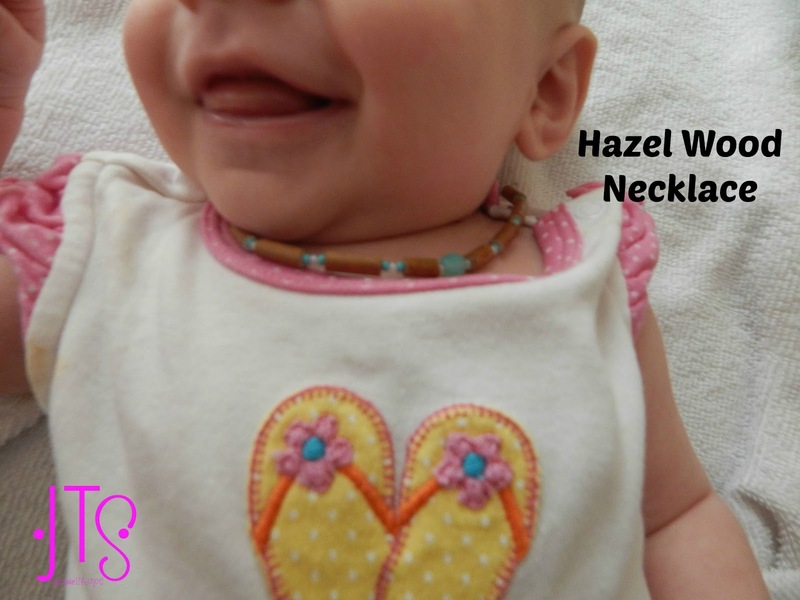 While researching natural ways to help with teething pain, I heard about using hazel wood to help with reflux issues (which my baby has and is on medication for). Hazel wood (specifically beaked hazel wood) is said to help with gastro issues such as reflux, ulcers, and heartburn (which I wish I would have known this as I had horrible heartburn during pregnancy). It is also said to help with skin issues such as eczema and even constipation. After doing my research, I set out to find where to buy them. Some of the research I did was on the website Inspired by Finn and Healing Hazel and I was lucky enough to find a local retailer that sold the Inspired by Finn line so that I could try on the different sizes of necklaces and ask more questions. After trying on a few sizes, we found a fit that was a perfect fit. According to the instructions and the research I have done, you are to wear the necklaces as close to the skin as possible for 24 hours a day and only take them off when taking a shower or swimming as water can cause the necklace to wear faster than normal and soap residue can hinder the effects of the amber and hazel wood. When using the necklaces for infants or small children, you can take them off and wear them as anklets during the night (which is what I plan on doing with my child). I plan on giving the necklaces at full month before deciding if they work or not. If they work, I plan on ordering one for my daughters (one has anxiety issues and the other has eczema issues) as well as one for me to help with my Hashimoto's. Now I am not saying that amber and hazel wood is the cure for everything and will make you be pain free, but if they help my little one with teething pain even a little bit, then that is good enough for me. 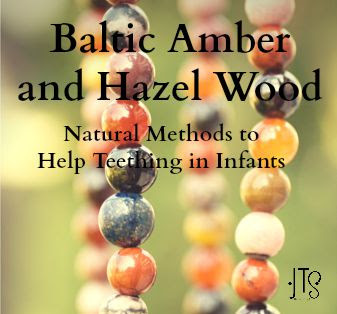 Have you used either Baltic Amber and/or Hazel Wood necklaces to help with your little one's teething pain or reflux? 21 Day Fix for Free? If you’ve ever started a journey to lose weight or get healthy, then you know how overwhelming it can be to not only learn about clean eating, but it can be so overwhelming that we often times just give up! But what if I told you that there was a system that, if put into place, would teach you how to eat by showing you correct portions and amount of calories to take in daily? Well, it is possible, and it works. The 21 Day Fix and 21 Day Fix Extreme are THE fitness and nutrition program to help you lose up to 15 pounds in 21 days. Each workout is approximately 30 minutes a day. The nutrition plan uses specifically portioned food storage containers that eliminate the guesswork from portion control. That means no weighing, measuring, or counting calories, carbs or points. If it fits in the container, you can eat it. And you’ll lose weight. When eaten in the right quantities, there are no foods that are off limits. You can even have chocolate and wine with the 21 Day Fix! Who could benefit from the program? Everyone can do 21 Day Fix and get great results. Each workout has a modifier to show easier moves. The test groups included fit people as well as people with 100+ pounds to lose, to be sure that anyone could be successful with this program. And guess what? Everyone lost not only weight but inches too! What is the Fixate Cookbook? 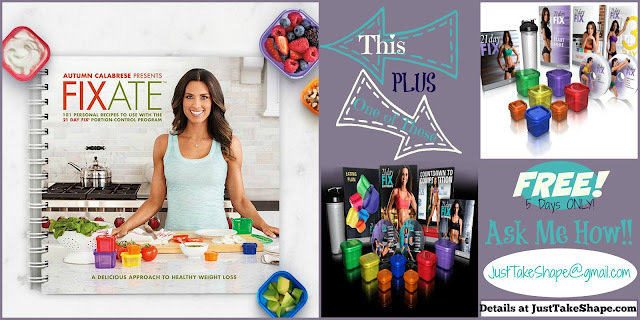 21 Day Fix® creator Autumn Calabrese takes her simple color-coded container system for measuring perfect portions and applies it to 101 of her favorite family recipes to give you Fixate, a delicious approach to healthy weight loss. So you’re not just eating tasty, healthy foods-you’re eating just the right amount. Each Fixate recipe lists color-coded container equivalents and nutrition facts, so you can use Autumn’s system for measuring portions and make sure your nutrition is on track when you begin 21 Day Fix, 21 Fix EXTREME®, or any other fitness program. PLUS Fixate includes Paleo, gluten-free, vegan, and vegetarian recipes along with Autumn’s personal tips for preparing meals quickly upgrading leftovers, and stocking your kitchen with absolute must-haves. Everything to help you get started in the kitchen, so you can finish strong during your workout. 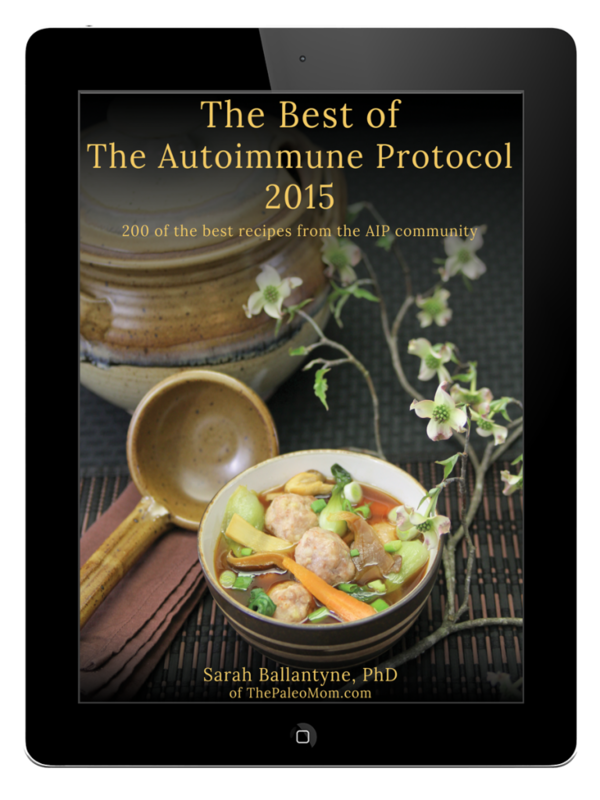 This cookbook is going to save you time, stress, and your results! Here’s a tiny sample of a few RECIPES! Ever tried Shakeology? Well now’s you opportunity to give it a shot and experience all it’s benefits! My entire family drinks Shakeology every day. 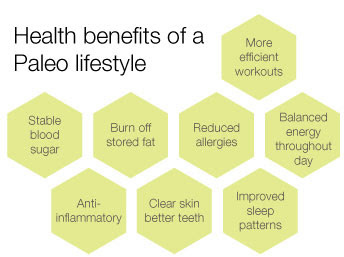 The benefits of Shakeology are beneficial for my and my entire families' well being. So how does Shakeology come into play with this entire deal? I’m not one to sugar coat “buying” something. When it comes to money, it is hard earned money and for some of us, buying something can be an “Investment” so I’ll just be to the point. FIRST—You must decide that YOU or someone you LOVE are WORTH it and be willing to invest in yourself or invest in them. Imagine how you or they would feel to FINALLY be able to put yourself first. To be able to shed the weight, gain strength, confidence, and esteem. To learn about clean eating and portion control. 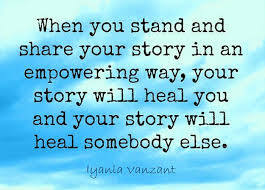 And to receive support from others who are battling the same struggles. With this purchase you will receive a 30 day supply of Shakeology, complete set of DVD’s, Portion Control containers, Shaker cup, PLUS me as your personal and free coach! And as an added bonus, access to my private 21 Day Fix Facebook Group starting August 3rd. How do you get your FREEBIE? The Fixate cookbook is available now and has already sold over 1 million copies! I will personally buy your cookbook and mail it to you. I’m only offering this SPECIAL DEAL for 5 days so once July 28th passes, so does the opportunity for the freebie - so do NOT wait. Don’t put it off until tomorrow—if you’re like me, you’ll forget! *Now if you feel the the 21 Day Fix isn't for you, no problem. Just let me know. You may be able to still get a FREE copy of Fixate. You can not be a coach or actively working with one. If you are working with a coach on my team, contact them—don’t wait! It has now been 2 months since I gave birth to my daughter. 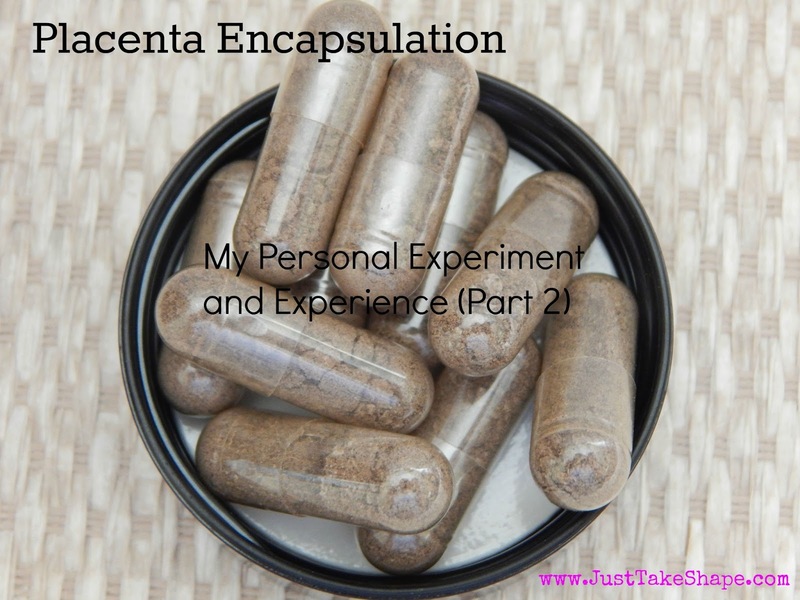 As you may recall, I decided to encapsulate my placenta (you can read the story here) in hopes that it would help with any postpartum depression, milk supply issues and even energy. The morning after my daughter was born, my doula came to pick up my placenta at the hospital. 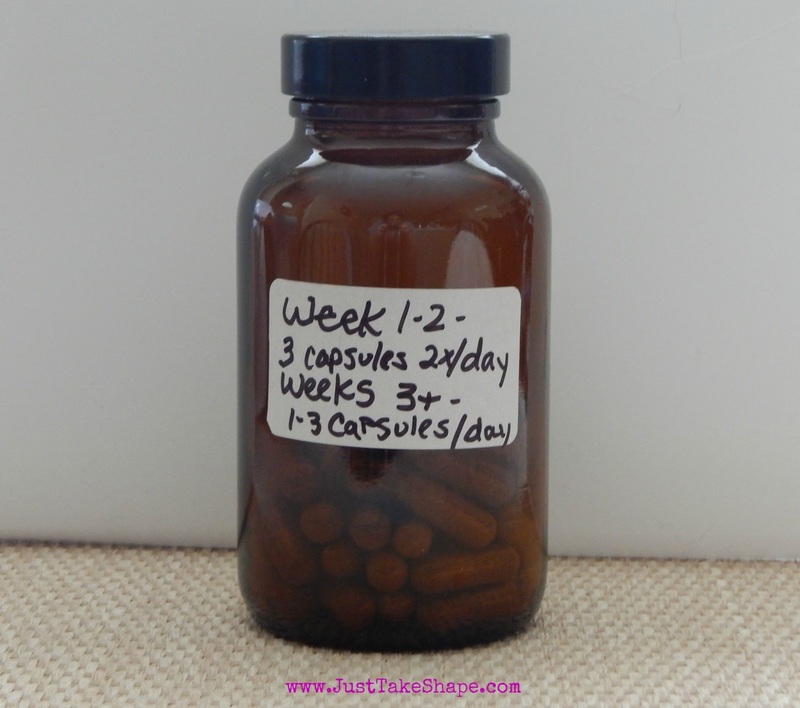 The turn around was very fast and within 24 hours, I had my placenta encapsulated. 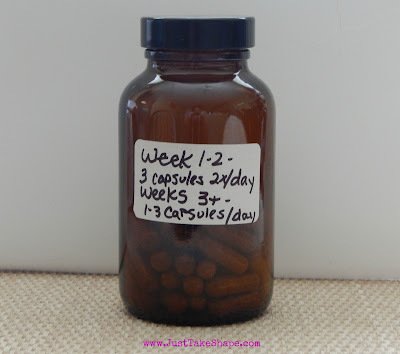 I was instructed to take 3 capsules 2 times per day for the first 2 weeks then 1 to 3 capsules once a day after that. By the next day, I noticed that I didn't seem to have the baby blues like I had had with my previous 2 babies. However, my hope that it would increase my milk supply did not happen. After taking the pills for about 2 weeks, I noticed that I had swelling in my feet, even though I was drinking a lot of water. At first, I chalked it up to all the hormones raging and the IV fluids I had while in the hospital. I began to wonder if this was possibly caused by the placenta pills. I also noticed that there was very minimal change to my milk supply. However, I did realize that I had yet to develop any of the baby blues that I had had with my last two children. Because of this effect, I did continue to take the pills for a full month. In mid June, I decided to stop taking them on a full time basis. I had not noticed any positive (or negative) effects on my milk supply, which was the main reason I wanted to have my placenta encapsulated. However, I did notice that I had a little more energy, but that could have been hormones too. All in all, I may consider taking a pill every other day to help with any lasting postpartum depression, which may be hormonal or just lack of sleep. Now while my results may not be typical, as I have read many articles on placenta encapsulation, or even eating the placenta raw (something that I flat out refused to do). I have heard both plus and minuses of ingesting the placenta in one form or the other, the main positive side effect (if you want to call it that) was the lack of or reduced postpartum depression/baby blues. I would love to hear back from any moms (or mom-to-be) if you have consumed your placenta or even considering it and the effects you had in doing so.